Sharpen your knives and shake out your aprons, the annual New Zealand Hospitality Championships are just seven weeks away! Entries for all competitions are now open and chefs, restaurant service staff, bartenders and hospitality professionals, are all encouraged to enter. 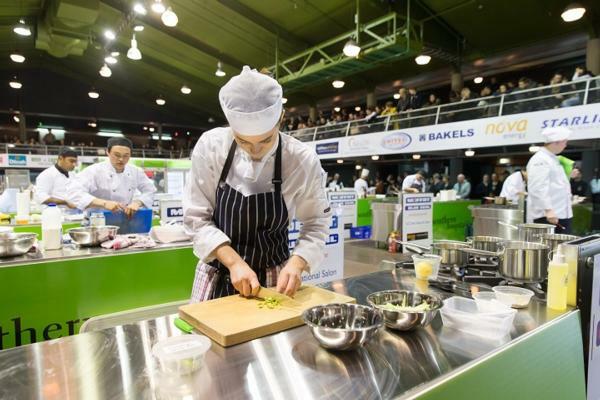 The four day event, entitled the ‘NZChefs National Salon’, runs from Thursday 28th July to Sunday 31st July at the Logan Campbell Centre, ASB Showgrounds, Greenlane. There are a wide variety of competitions on offer, ranging from the classic NZ Beef Open to Canapés, Celebration Cakes and Petit Fours to Classic Cocktail events and a Barista Smack Down. For those who prefer working in teams, there’s the Dilmah High Tea event for both chefs and restaurant service staff, the popular Curry Cup and the Butcher and the Chef competition. For 2016, NZChefs have also brought back the classic hospitality events of bed making, table setting and gueridon service (for those who don't remember the eighties phenomenon, this is where dishes are cooked tableside and served flaming to the diners). NZChefs President Graham Hawkes says “The National Salon is a fantastic opportunity for chefs, both current and trainee, and hospitality staff to practice their skills. It also provides an opportunity for competitors to network with their peers and other industry members, while potentially adding an award or title to their CV’s”. “There are competitions for all levels, so we’d like to encourage people to have a go and to come along and support those competing”. Along with individual competition awards, prizes on offer at the National Salon include a trip to Sydney for the winners of the Secondary School College Challenge, a trip to Sri Lanka to attend the Dilmah School of Tea for the winners of the High Tea event, plus a Moffat digital electric convection oven for the Chef of the Year. Additional prizes include kitchen equipment and product from event sponsors. The International feature competition for 2016 is the Gourmet Pacific Challenge. Visitors to the National Salon will be able to view teams of chefs from New Zealand, Australia and the Pacific Islands competing for this Pacific Rim title, plus watch the NZ Culinary Olympic Team as they prepare for the World Championships in Germany later this year.